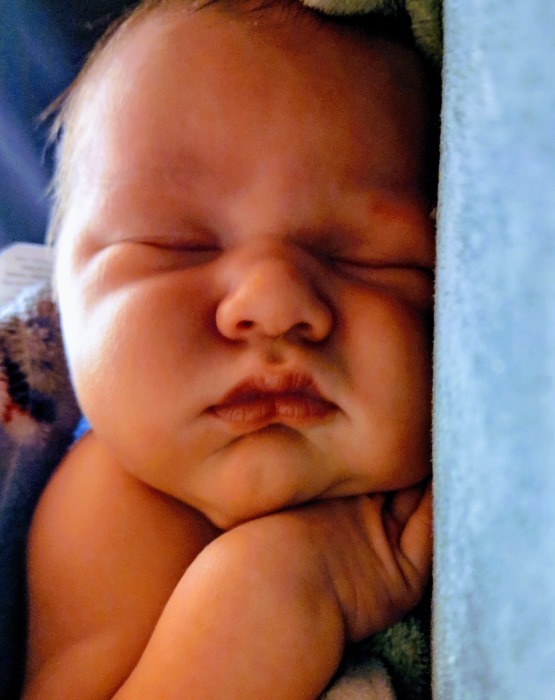 Barrett Nox Graham, precious infant son of Charles Graham and Cheyenne Fell of Tipp City, passed away on January 15, 2019 at Children's Medical Center of Dayton. Barrett was born on December 30, 2018. He will be forever remembered and in the hearts of his parents, his grandparents Candace Hall and Kenny Cribbs, Charles Alan Graham, Sr., and Dale and Robyn Fell; great-grandparents Della Fell, Pamela Johnston, and Pearl and Dave Hall; great-great-grandmother Betty Burchett; and siblings Branson and Kynley Kimrey, Kaydance, Kima, Kamaya, Kaine, and Keara Graham, and Phoenix Fell. A memorial service to honor Barrett's life will be held at 1:00 PM on Tuesday, January 22, 2019 at Hale-Sarver Family Funeral Home, 284 N. Miami St, West Milton. The family will receive friends from 12:00-1:00 PM prior to the service. Messages of sympathy may be left for the family online at www.hale-sarver.com.